Unmanned systems have been growing rapidly in popularity in recent years. Tactical unmanned systems are now used extensively by the military and various security services, while professional unmanned systems are becoming increasingly common in a variety of civilian fields. This expanding use of unmanned systems is due to advances in technology as well as the versatility and reductions in size, risks and costs that remotely operated systems offer as a result of not having a pilot or operator on board. IDS’s laboratories have been utilizing the expertise gained from past experience in helicopter and rotor design as well as their capabilities to develop avionics systems such as flight control systems and autopilots. IDS, an high tech integrated solutions and services company, has been researching and developing complete unmanned systems for over ten years, including ground control stations (GCS), data communication links, and a range of unmanned aerial (UAV), ground (UGV) and underwater (UUV) vehicles. This research has been assisted by IDS’s experience and expertise in helicopter and rotor design, aircraft avionics systems such as flight control systems and autopilots, antennas and aircraft design. In the field of tactical unmanned operations, IDS UAVs (for example IA-3 Colibrì) can be used to perform missions such as aerial, land and maritime surveillance, convoy protection, and ISTAR (intelligence, surveillance, target acquisition and reconnaissance). Possible applications in the civil field of professional unmanned operations include pipeline and powerline inspection, aerial mapping, photogrammetry, railway inspections, and search and rescue. IDS currently offers a range of unmanned aerial systems (UAS), also known as remotely piloted aircraft systems (RPAS), that can perform a wide variety of roles. The UAVs can be fitted with various payloads, from EO/IR cameras to a variety of sensors and measurement equipment, and from LiDAR scanners to electronic countermeasures. IDS also produce a range of ground control stations, from hand-held to vehicle mounted. 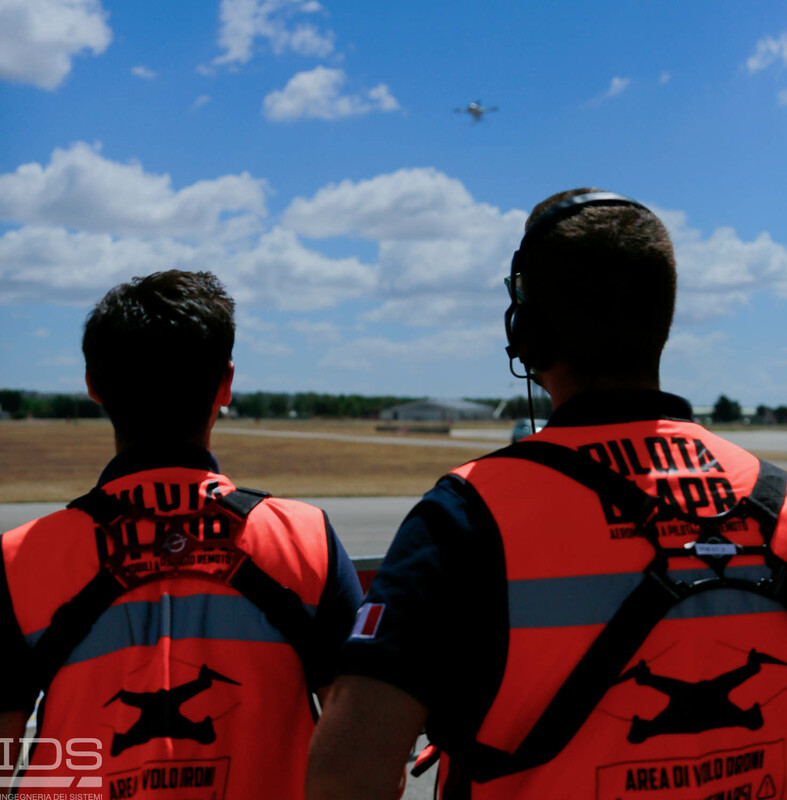 These provide control over both the remotely operated vehicle and the payload, and also offer the option to have a dedicated payload control station alongside the pilot’s. In addition, our advanced ground control systems include embedded simulation environments for training and mission planning.